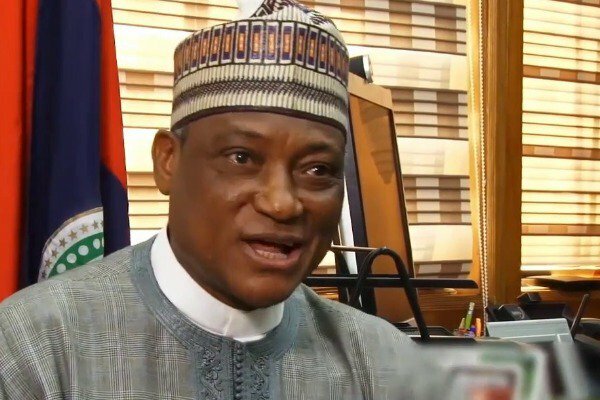 Defence Minister, Mansur Muhammad Dan-Ali has reacted to call by elder statesman and former Chief of Army Staff, Lt. General TY Danjuma (rtd), to the people of Nigeria to defend themselves against rampaging Fulani herdsmen. General TY Danjuma had yesterday in Taraba State, called on people of the state and Nigerians in general take up arms and defend themselves in the face of killings. But the defence minister says the comment was an invitation to anarchy. Dan-Ali, in a statement entitled “Re-Armed Forces Collude with Bandits to Kill People,” said, “A recent comment by one of the nation’s elder statesman alleging that the Nigerian Military collude with bandits to kill people and therefore calling on them to rise and defend themselves outside constitutional provisions; this is highly uncalled for and is an invitation to anarchy and should be disregarded by well-meaning Nigerians. “The efforts of the Nigerian Armed Forces towards restoration of peace, security and order in Nigerians continue to receive appreciation to changing the security environment from what it was before. “The Nigerian Armed Forces is well organized and highly professional in discharging its constitutional mandate. “Therefore if anyone has evidence of wrongdoings or dereliction of duty against our troops, he should please bring forward such evidence through appropriate channels for necessary action.